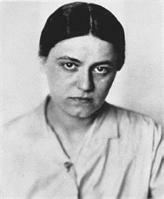 This year marks the 70th Anniversary of the death of Edith Stein. As part of this year's commemorations, 'The Centre for Dialogue and Prayer in Auschwitz' along with other institutions in Poland are holding an international seminar, retreats and religious ceremonies. The 'Auschwitz International Scientific Seminar' will be held on the 8th-10th of June, 2012, for more details click on the following: http://www.cdim.pl/en?view=article&id=440. This year, in August 2012 the 70th anniversary of the death in Auschwitz of Edith Stein, Sister Teresa Benedicta of the Cross, Co-Patroness of Europe will take place. (i) In France, Paris, at the Ecole Normale Supérieure, there is a conference from 10th-12th May, 2012. (ii) In Italy, Bari, The VI International Convention in Phenomenology are holding a conference on the topic of Edith Stein’s philosophy, 24-25th May, 2012. (iii) As outlined above, In Poland, Auschwitz, 8th-10th June, 2012, the 'International Scientific Seminar' takes place. You may wish to note also, Retreats take place 7-9th August and on the 9th August religious ceremonies will take place. (iv) In the USA, Texas, November 1st-3rd, there will be a conference at the University of Texas, Arlington, on the topic of '19th and 20th Century Austrian Thought and its Legacy'. See the call for papers on our website for this conference, e-mail: Prof Gloria Zúñiga-y-Postigo - gloria.zunigaypostigo@uta.edu for further information. If there are other conferences on Stein's philosophy we would be happy to note their details on our calendar.